As part of the Storytellers Vault, you have access to a select body of White Wolf IP for use in your original content design. In short, this is an opportunity for creators outside of White Wolf’s traditional licensing structure to engage with the World of Darkness and the other IPs to inspire and elevate their own work. 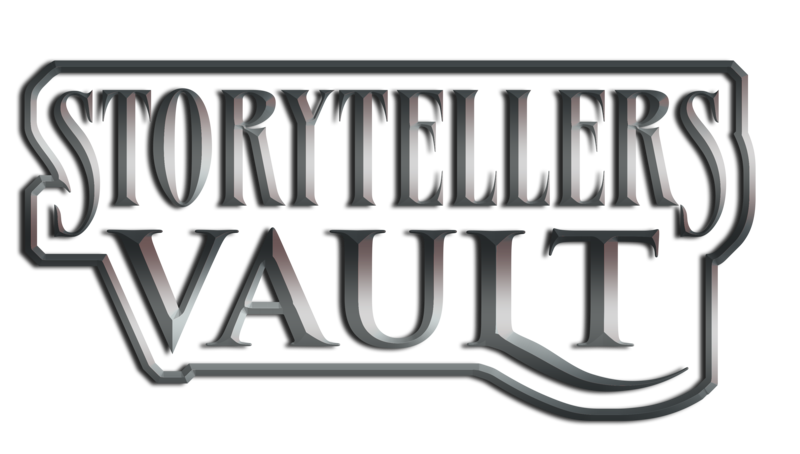 The Storytellers Vault provides an easy-to-use, push-button service that allows you to publish your work quickly and easily, without printing costs or other unnecessary overhead, so you can focus on what you do best… designing great game content. The content you create and submit will be published in a central, online marketplace hosted by OneBookShelf, making it available for sale to White Wolf fans everywhere, while fostering an active and growing community of creators and consumers. The Storytellers Vault is an opportunity to share your original content with the rest of the White Wolf community, while you have the opportunity to make money at the same time. You can set the price other fans will pay for your Storytellers Vault title. You then get a 50% royalty whenever your title sells which can be banked, spent on purchases, or transferred to your personal bank account. Pricing is completely at your discretion and can be anything from free, to pay-what-you-want, to a set fixed price of your choosing. Your content can be rated and reviewed by fans who purchase your products, allowing you to improve as a content creator, and allowing White Wolf to easily identify the best creators for additional publication opportunities. The best work will also be eligible to be selected by the White Wolf team, to provide our partners with additional saleable content.